Sometimes, you need to set aside the boring dress shoes and go for the more daring ones. Seldom does a memorable night begin with a pair of boring brown loafers. Your shoes are a mirror of your personality – therefore, if your shoes are boring, then you might also be labeled as boring. On the other hand, if your shoes express the right amount of sass and personality, then that’s what people will remember you for. For that reason, we are going to review the Amali Mens Black and Metallic Splatter Slip On Dress Shoes and see whether they live up to their name and price or not. A pair of nightclub dress shoes needs to be as comfortable as possible – you need them to withstand a night full of dancing, after all. It should also be durable, which is why we’re also going to review these shoes for construction quality and durability. Let’s see what it has to offer. Made from fabric, these items are not like your average suede or full grain leather shoes. At first look, you would think that the base fabric is covered in sequins, but in fact, the fabric itself has a splatter-like design. The plush black microfiber perfectly complements the metallic splatter, whose color you may choose according to your own preferences. These colors can be gold, silver, red, royal blue, turquoise, or fuchsia – and your choice will be based on your outfit or the environment they’re worn in. Some people see these shoes as the perfect accessory for prom while others believe it’s the best thing you can take with you on a regular Saturday night at the club. These shoes have been made with a sleek silhouette that looks timeless, yet modern and elegant. They are easy to take on and off due to the fact that they have no shoelaces, so they’re also appropriate in situations where you often have to take your shoes off. The low block heel completes the exterior design, and also adds to the comfort. Due to the fact that it’s made from synthetic material, the sole is very durable and fancy looking. Furthermore, the soft inner cushion absorbs the shock of walking, which is why your feet won’t get easily tired when wearing them. While there may not be any particular patterns on the sole, it still has non-slip properties that will prevent you from slipping on any surface. You can dance your heart out knowing that your shoes will completely adhere to the ground. The inner fabric lining is breathable, which means that you can easily wear these shoes on the dance floor, without worrying that you are going to start sweating in them. This also makes them a great choice for summer wear, especially since this the time many formal events take place. You have a wide range of shoe sizes to pick from, so no matter if you are a 7.5 or a 15, you will certainly find a pair that will fit you. Your child could wear them at their first prom, or your husband could wear them to your sister’s wedding. Even the smallest or the biggest men can wear them since the elastic upper part will snuggly cup your foot. According to most customers, the fitting is just right. However, there are also some instances when they can run either big or small, depending on the width of your foot. If you have thicker feet, you might want to order one size up. On the other hand, if your feet are narrow, perhaps a smaller size would be a better choice. 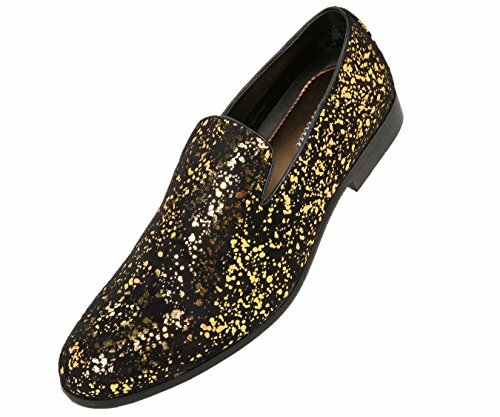 Many may start criticizing the Amali Mens Morris Style Black and Metallic Splatter Slip-On Dress Shoes for their extremely shiny and colorful design, but if you are looking to bring some color into your life, these are just the shoes for you. 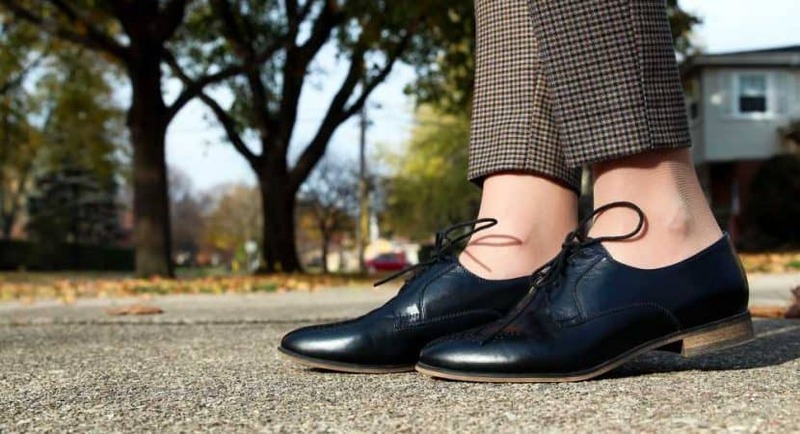 Sure, they might not blend in at a formal event like a pair of patent leather Faranzi or the silky Viotti, but they will still get lots of compliments from people who don’t like being boring. The price might be a bit higher than your average dress shoes, but they are not as expensive as a pair of genuine leather 3DMs, for instance. With Amali, not only do you have many colors to choose from, but you also have the advantage of durability. Last but not least, unlike most dress shoes that offer standard padding such as a pair of 4HOW, the Amali’s padding is extra thick. It will be difficult to find another pair of shoes in which you can move around with such ease. Plus, your feet will no longer be in pain. Unlike leather or silk shoes, this pair is very low maintenance. You won’t have to bother with polishing; just some dusting or a wash every now and again – but make sure that you do it gently and that you don’t scrub off the metallic surface. Overall, the Amali dress shoes are perfect for special occasions such as the prom or a wedding, but they can also be taken on a regular night at a club. They’re special and have an interesting design that you don’t see often. Some people may not like their “colorful and shiny” looks, but they are perfect for every free spirit, especially if you love adding some color in your life. They are very comfortable, and considering their price, they are also fairly durable. You’ll definitely get a lot of compliments for them since they are not boring in any way. You may finally have something to match that red or gold bow tie with. Why Do Dress Shoes Squeak?